Our Subject Matter Experts are ready to help you build the wine business of your dreams. 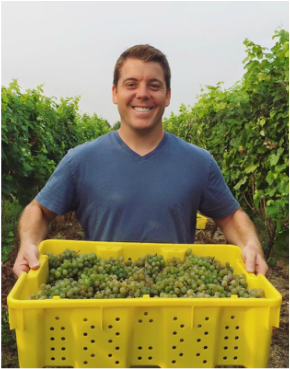 ​Drew is an entrepreneur with a passion to put Maryland wine on the world map. In 2011, at age 22, Drew planted the first 7,600 grapevines on his family’s farm. Since that first planting, Drew has secured and managed well over a million dollars in private funding and government grants to build and equip a state-of-the-art winemaking facility, plant thousands more vines and construct a beautiful new tasting room all for his flagship project, Old Westminster Winery, one of Maryland’s most promising producers. Drew believes a rising tide floats all boats. This is why his vision embraces assisting other wineries in producing delicious wines that reflect positively on Maryland. To date, Drew has contracted, consulted and made wine for seven other Maryland wineries. Each year he travels the world studying his craft and honing his skills. Drew is a visionary leader; he pours his energy and passion into forging a new image for Maryland wine and earning respect in a meritocracy where criticism can be so unforgiving. ​Lisa is one of the mid-Atlantic’s most talented winemakers. She is the recipient of numerous awards for her contributions to the wine industry, including “best in class” awards at the Governor’s Cup and being named one of the Baltimore Business Journal’s 40 under 40. A chemist by education, Lisa has extensive experience at prestigious wineries on both the east and west coasts. Additionally Lisa consults and makes wine for many respected wine producers in Maryland. Lisa believes Maryland to be ripe with opportunity to craft world-class wines. Viticulture has been here since 1648. She is captivated by the responsibility to carry that legacy on in a way that redeems many misgivings about Maryland wine. Lisa is crafting some of the best wines Maryland has to offer; wines that are not only a pleasure to drink, but that also reflect the region’s unique geologies and climate. Her approach is not the easy way, but she knows that a bottle of wine reflects its maker’s passion. Mark is an entrepreneur who handles brand building, web development, digital marketing & communications, content creation, SEO, and social media for many local businesses. Mark's business passion is creative marketing for startups and growing local restaurants and wineries, and he has a sincere desire to help put Maryland wine on the world map. Mark has been a writer and speaker for nearly 20 years, formerly as a radio personality for a major market FM station in the Baltimore-Washington metropolitan region where he produced and hosted two weekly programs, Real Life Matters and Essential Radio. 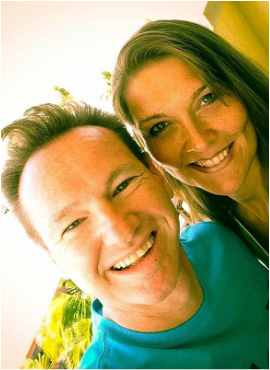 Today, as an entrepreneur and business consultant, Mark loves to help fellow entrepreneurs succeed by motivating them and showing them practical ways to grow healthy and profitable businesses. Mark Scott is founder and owner of Allure22.com. You can learn a lot about his business philosophy here. Connect with @markjayscott on Twitter.